The 2014 BMW i3 is a plug-in electric four door hatchback that’s ideal for urban commutes. An optional gas powered 2 cylinder 650 cc range extender recharges a depleted battery and gives the i3 a potential range of 300 kilometres. On battery power alone, the i3 can travel up to 160 kilometers on a full charge. The i3 comes with a built in occasional use charger that plug straight into a 110V wall outlet. An overnight charge of 11 to 12 hours tops up any residual charge in the batteries. Two optional fast charging stations are available through BMW’s parts department. A 15 amp wall charger ($1000) can charge the i3’s batteries to 80% of full within 6 to 8 hours. A high current 30 amp charger is also available ($1200) which brings the i3’s batteries up to the 80% mark in under 3 hours. The 170 horsepower 130kw electric motor provides instant torque and brisk acceleration with a 0-100km/h time of 7.2 seconds. Carbon fiber enforced plastic and aluminum structures make the i3 strong and lightweight. 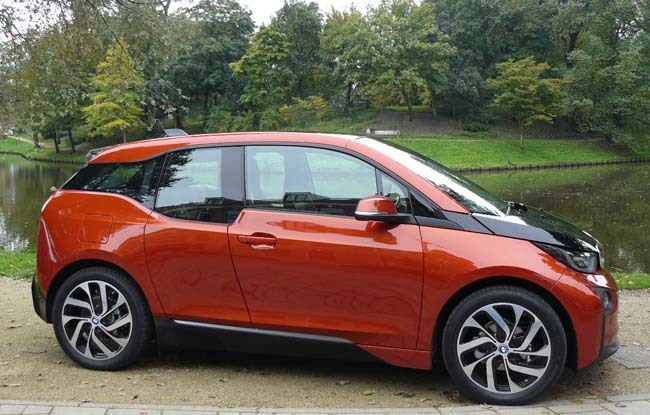 The i3 has a curb weight of 1,195 kilograms. Interestingly the i3 has a maximum load capacity of 425 kgs. Given the trend of expanding waistlines, you may want to travel with a digital floor scale just in case. Designed for urban living, 12 removable exterior plastic body panels make dings and scrapes easy to repair. The exterior styling is unlike any other vehicle on the market. The upright, almost purpose built shape attracts attention everywhere it goes. Truly function dictating form. It is unlike any other vehicle on the road at present. The spacious and functional cabin really is a masterpiece of modern design with available eucalyptus wood surfaces and naturally derived recyclable materials throughout. It’s comfortable and airy but accessing the rear seats through the “suicide doors” can be a bit awkward. Starting at just under $45 000 CDN, the i3 is eligible for rebates of up to $8500 in some provinces. The i3 is innovative, practical and a great choice in this emerging segment. BMW has priced their entry level product to compete squarely with other more pedestrian brands in this segment. 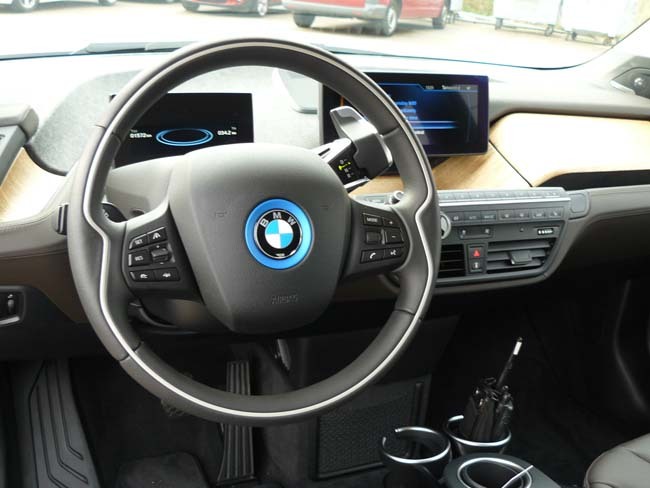 If consumers adapt to the next-gen styling, the i3 could be a significant player in the electric vehicle market.